University Council – supporting and guiding the University of Southampton. 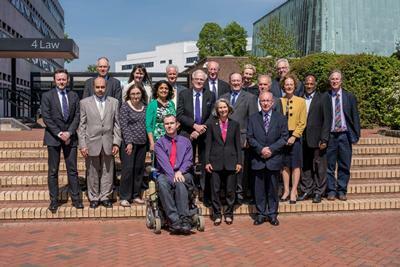 The University’s governing body is the Council, which meets six times a year. It approves the strategic plans of the University and is ultimately responsible for its finances, buildings and staff. It approves all major development and receives regular reports from the Vice-Chancellor and the Executive Management Team, and is responsible for ensuring that audited financial statements are produced for each financial year. The confirmed, unrestricted/non-confidential minutes of Council meetings are publicly available and copies can be viewed on our archive page.